Catharine P. Wells. 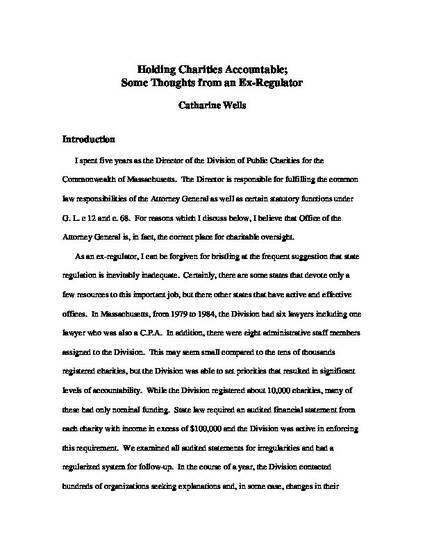 "Holding Charities Accountable: Some Thoughts from an Ex-Regulator." Hauser Center for Nonprofit Organizations Working Paper no. 33-1, October 2006.